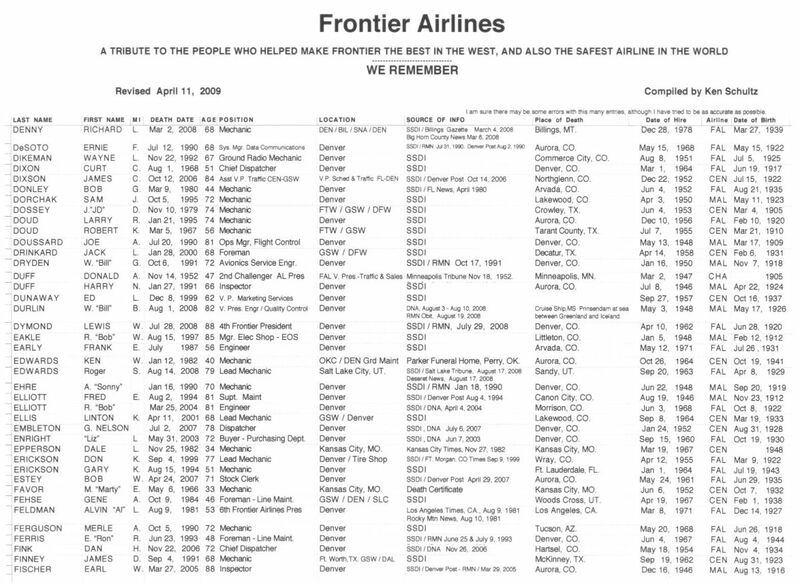 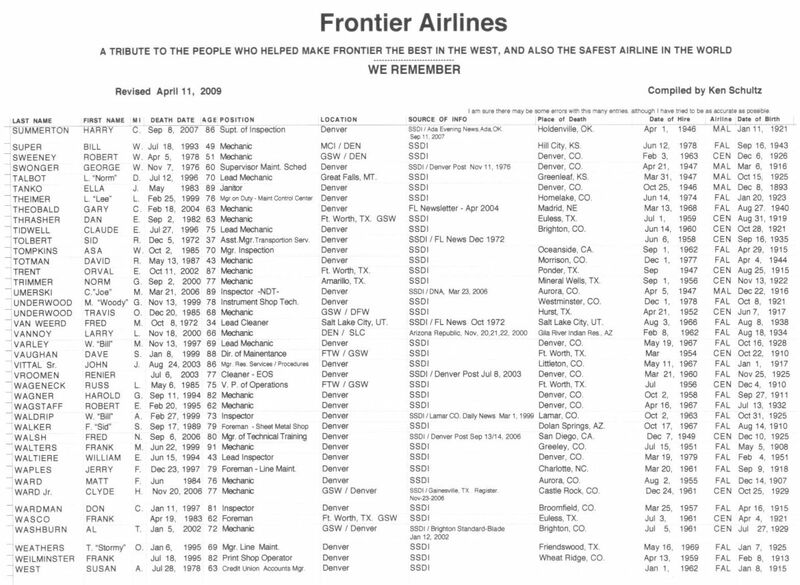 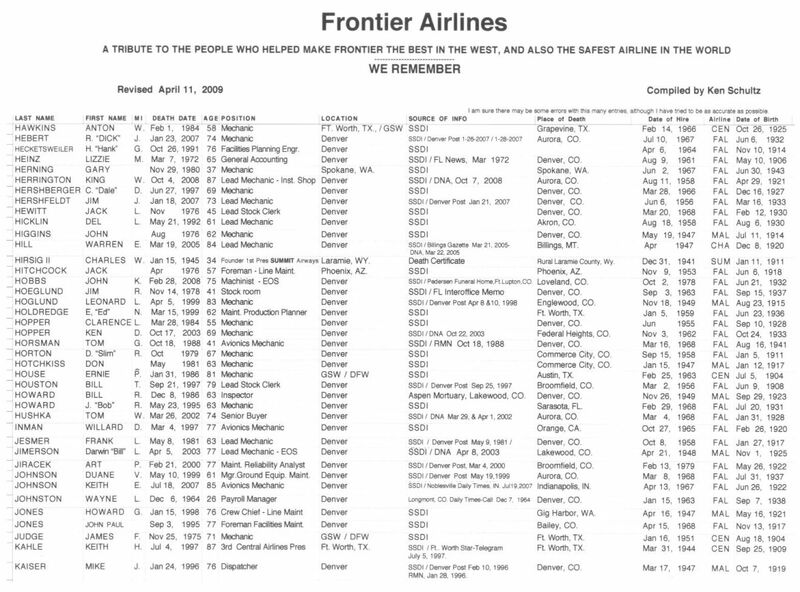 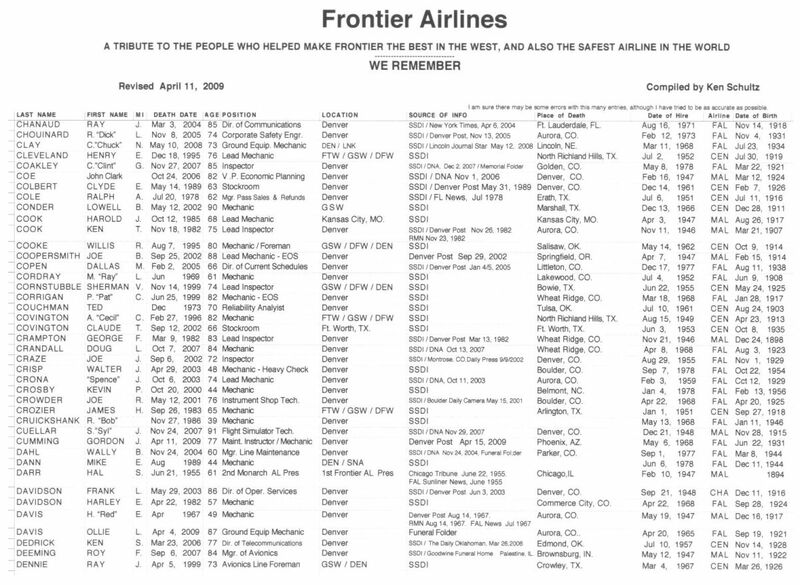 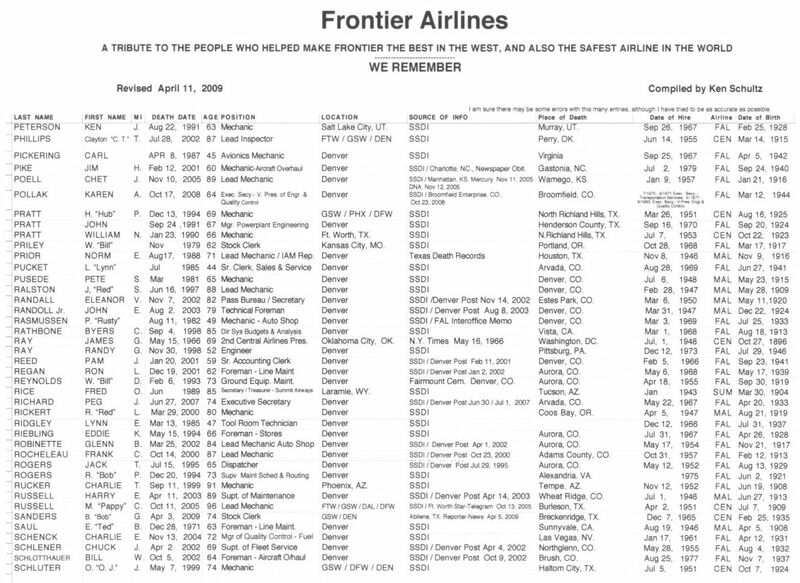 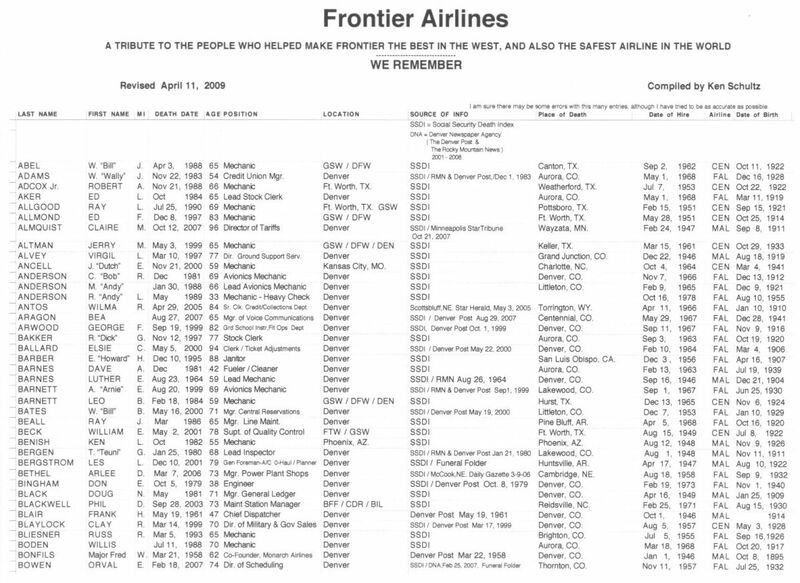 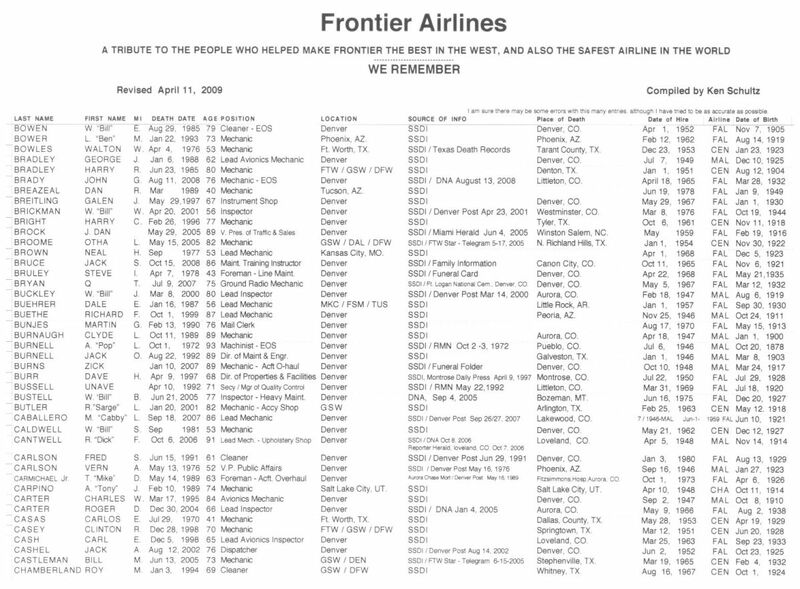 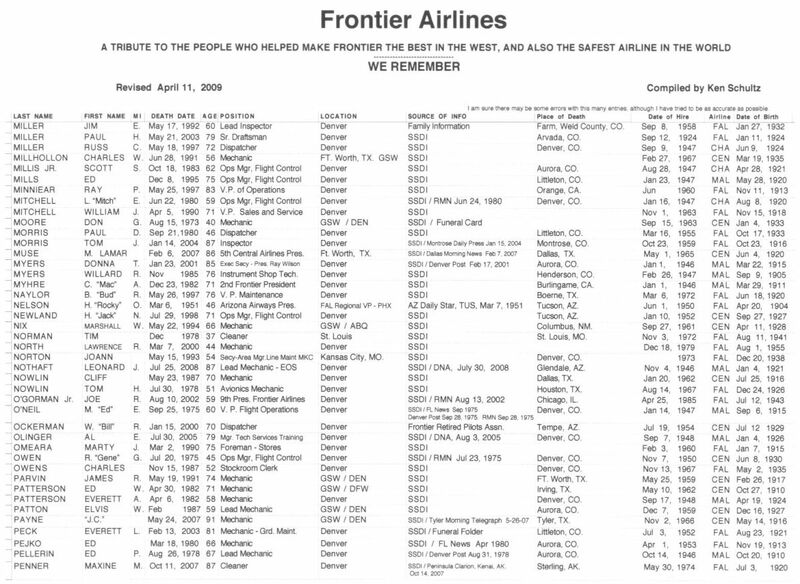 Ken Schultz researched and developed a database containing information on deaths of "old" Frontier Airlines (mostly maintenance and management) employees. 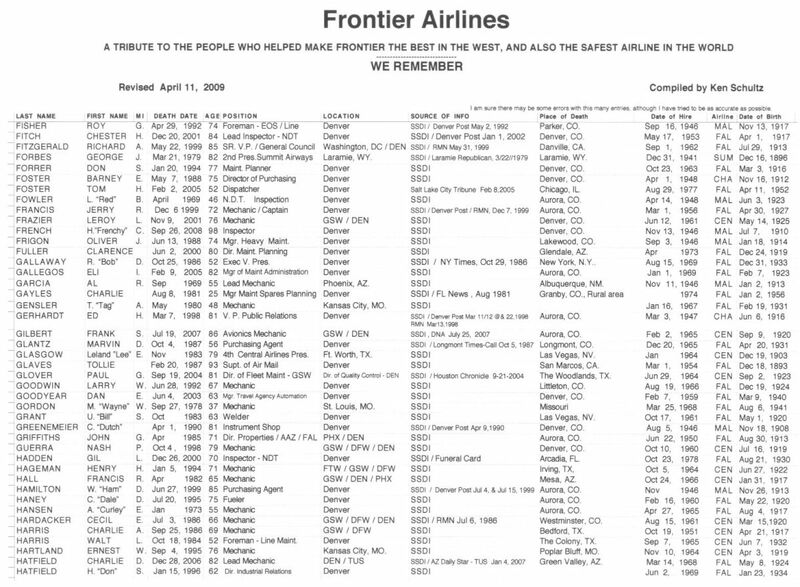 It contains 13 pages updated to Apr 11,2009. 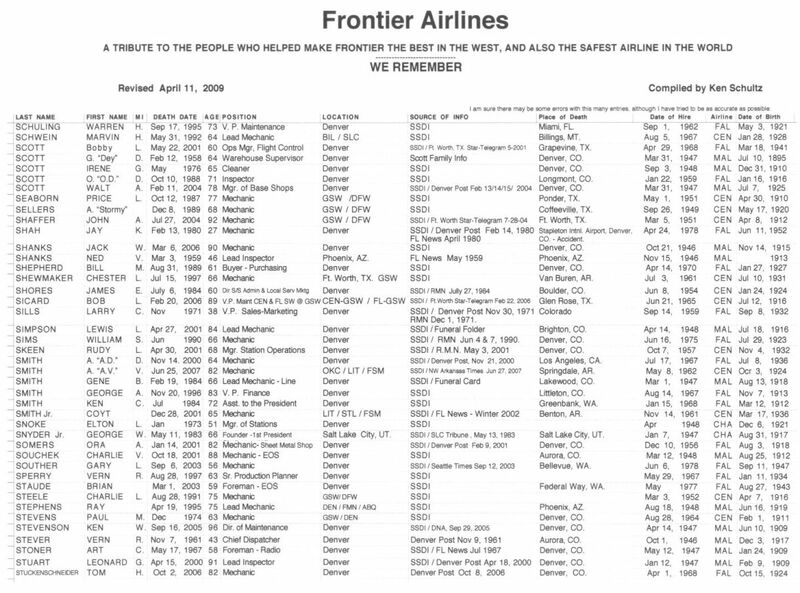 Thanks for your work, Ken! 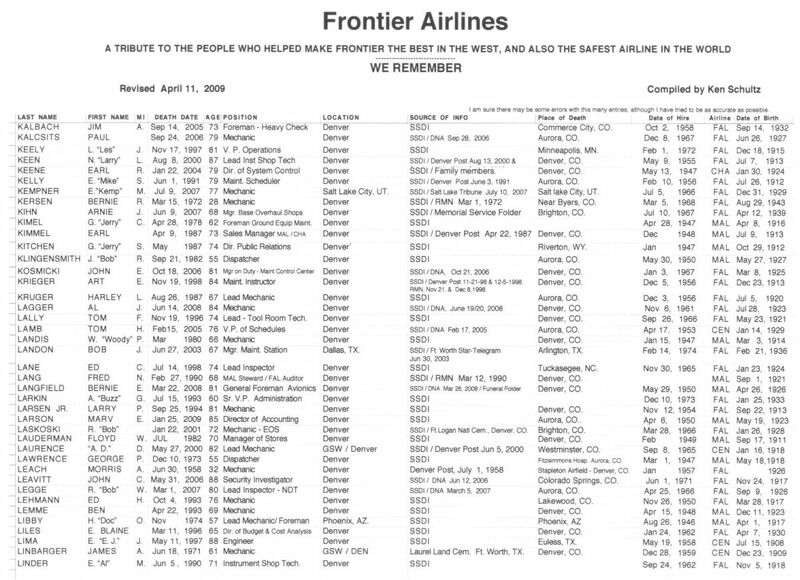 This was Ken's last database - he flew west on May 3, 2010. 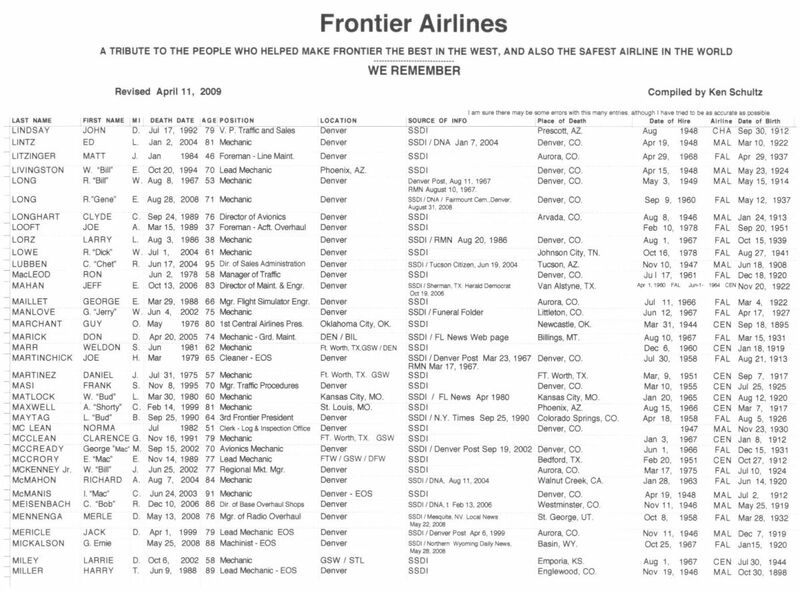 Our FLriends aren't dead until we forget them!